Along with comfort and flexibility Digitalization in charities and NGOs has plagued with scandals today. And one of the recent studies by nfpSynergy reveals that, since November, the charities have dropped approx six percent. In this scenario, Blockchain Technology - (the decentralized, peer-to-peer distributed on ledger block) comes as rescue, with its secure and instantaneous as it has the tendency to provide the radical transparency that can again hold the trust factor back. Over a couple of years, the blockchain technology is considered the miracle solution, thus app development companies are looking for Non-profit App Development based on this technology. From food supply chains and insurance claims to real estate and e-commerce, blockchain application solutions are doing wonderfully with complete security and transparency. Now, slowing it is entering the humanitarian and nonprofit work. Donations through Bitcoin based on blockchain technology and other digital currencies has become more commonplace and acceptable as it is assumed that the crypto market continues to flourish rapidly, unlike with the success in other industry. And this clearly states that crypto-philanthropy will grow, indeed. The more testing of smart contracts followed by blockchain powered donations ensure to manage and track the donation. If successful, it could establish an innovative platform based on transparency in philanthropy. Ultimately, this will allow the givers and beneficiaries to interact directly, which can cultivate trust. Further, there might be diminished roles for charities, aid agencies, and foundations - in some cases even the removal of these entities from the philanthropic equation. Social impact and donation platforms incentivize non-profit organizations to run projects in a transparent way and get paid for achieving their goal. The blockchain solutions are out to reduce intensive financial and legal intermediaries which is generally an expensive and long process. Well, the new models of digital 'cryptocurrencies', such as Bitcoin, could present both major opportunities and challenges for charities. Some of these opportunities and challenges, such as the potential for ‘radical transparency’ of donations, offering an opportunity to get aid money whenever required and the challenge of anonymous donations. The blockchain technology can be used to transform the way charities are created and regulated. It means the way in which charities registering and monitoring takes place. 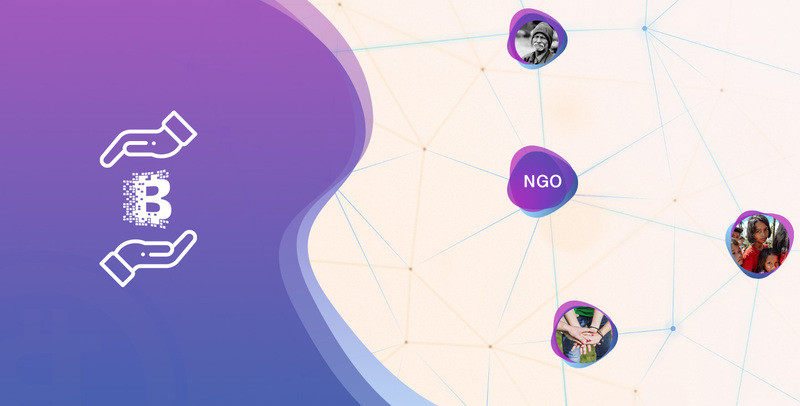 The blockchain powered donations can hold immense potential to open up the possibility of 100% transparent, real-time financial information on charities. Also, provide an opportunity to and explore whether smart contracts could result in a fundamental shift in the way rules are enforced. Eventually, this can spell the end of traditional charity regulation. The blockchain is the decentralized, shared public ledger at the heart of Bitcoin and other cryptocurrencies, but it also has far wider applications. The blockchain technology could play in boosting transparency and trust in charities. The impact of new assets becoming available forgiving, and the potential for ‘smart contracts’ that govern philanthropy. This is also leading to the innovative idea that can help in the future, as such ‘smart’ domestic appliances can be expected as ‘AI philanthropists’. It’s really necessary for the Nonprofit Web Developer to have an understanding of developing a high-level of technology is essential for determining the applicability to an organization. As we know, Blockchain technology is currently in its infancy and struggling to scale ease of use. Future is not far when blockchain will be a viable solution, the current state of the technology and pace of evolution may make current applicability impractical. Generally, Nonprofits and philanthropic organizations focused on humanitarian aims, rather developing emerging technologies. Thus, when implementing blockchain technology, organizations must develop technology partnerships to leverage pre-existing technology and experts concerned with the same subject. NEXT POST How To Outsource Android App Development?